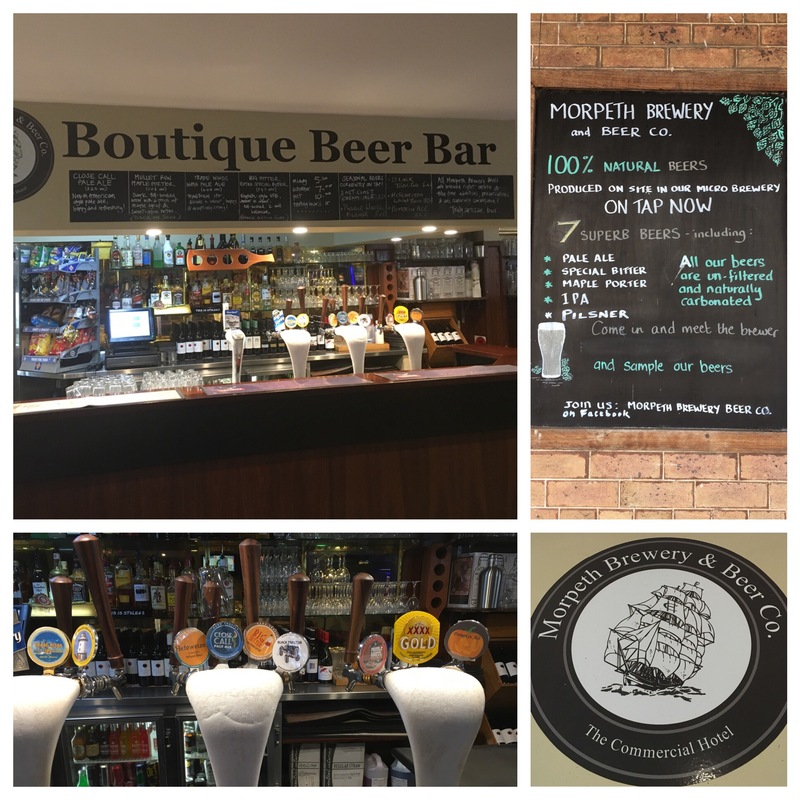 I don’t think I’d heard of Morpeth until I drank a Morpeth beer at Harts. Turns out it a historic town on the outskirts of Maitland, that just happens to have a microbrewery. 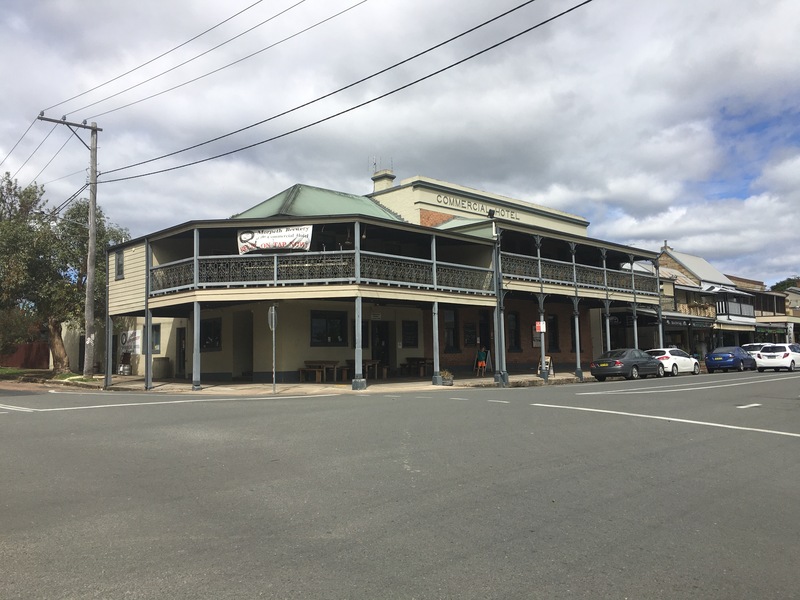 I was taking a scenic route from Boomerang Beach to Wollombi and was fortuitously able to make Morpeth a not too inconvenient detour. Morpeth’s definitely a place to take the missus. There’s plenty of antique, clothing and knick nack shops on the main drag that can provide an hour long distraction whilst you pay a visit to the brewery bar. Morpeth’s done a great job of preserving and restoring its heritage buildings and it is a great looking town on the river. On this trip I had the little fella with me and there were no shortage of ice cream shops to keep him happy. The brewery and accompanying “Boutique Beer Bar” are to be found in the Commercial Hotel. The brewery is very micro and is jammed into a small room on the ground floor. The Bar is out the back and offers 7 taps which would be constantly changing. 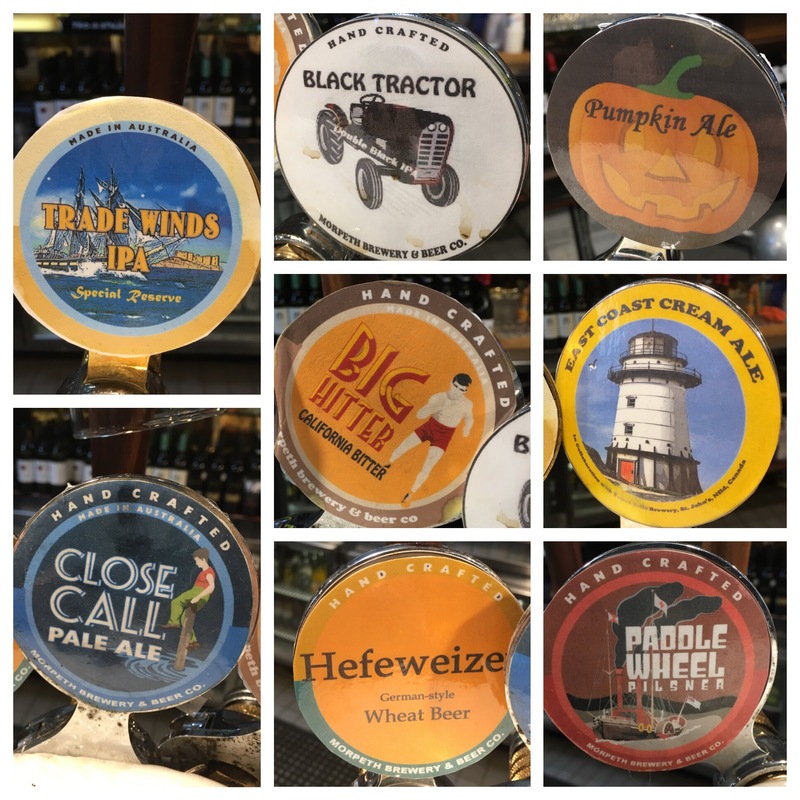 The range is diverse from cream ales to Double Black IPAs via pumpkin beer and Hefeweizen. A four glass paddle is available. I really enjoyed the Pumpkin Ale. The bistro menu looked pretty solid. Doesn’t look to be takeaway yet (didn’t ask whether they’d fill a growler). So if you are in the Maitland area, Morpeth’s well worth the diversion. Wallis Lake Oyster & Craft Beer Festival – how #fortuitous!